Denver has graced FORTUNE magazine’s list of “Best Cities for Business" for the past five years running. And, each year since 2001, Denver has been one of Dun and Bradstreet’s “Top 10 Cities for Small Business." With Denver's highly educated citizens and entrepreneurial spirit, our community is in a constant pursuit of opportunity. ● Longmont was named one of the Top 100 Best Places to Live in the United States twice - once in 2006 and again in 2008. ● Louisville was ranked as by CNN Money as their top choice in the best places to live in 2009. ● Westminster was ranked by Money Magazine as one of "America's Hottest Towns." In 2004 the city ranked 11th in the West with a population of more than 100,000. In 2007, Westminster was named a Grand Award winner in the 2007 Gold Medal competition for their parks, recreation and Libraries. ● Aurora was honored with the All-America City Award in 2008, recognizing its communities for collaboration, inclusiveness, and successful innovation, and its community-wide civic accomplishments. ● Fort Collins ranked #1 in Money magazine's 2006 'Best Places to Live' list. ● Colorado Springs was named the #1 Big City in the 'Best Places to Live' rankings. Numerous other Colorado communities have ranked at the top of lists as the best place for everything from Fitness, to Best Place to Retire, Best Place to Raise a Family, best places for recreation, just to name a few. Copyright © 2011, DenverHomesOnline.com, The Michael Dagner Group and RE/MAX™. 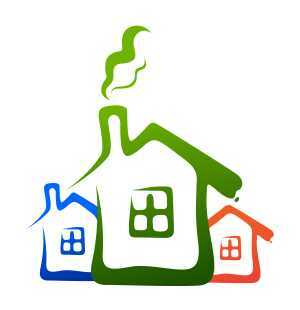 Copyright © 2010-2011, Michael Dagner and and www.DenverHomesOnline.com. All rights reserved. Call me today, and let's talk about your plans (303) 514-4000!